Since 1987, the Wedding Guide planner and resource guide has helped thousands of brides through every step of the wedding planning process. While keeping brides up-to-date on the newest trends in weddings, the Wedding Guide focuses on providing couples with the knowledge they need to make educated choices for their special day. Registered brides receive information on discounts, shows, events and more! It’s FREE at many local bridal shops, event venues, jewelry stores, florists and cake shops! Keeps your business in front of more than 20,000 brides each year. Educates the brides on using true wedding professionals and how to interact with them. An educated bride is your best customer. Builds credibility. Couples have trusted the Wedding Guide for 30 years. 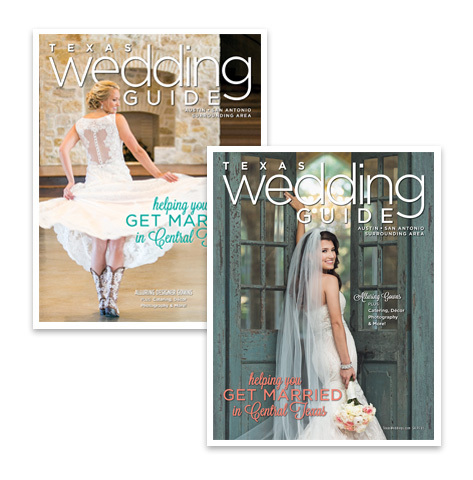 When brides see you in the Wedding Guide, they know you are a professional they can trust. Assists in branding your business with an effective attractive ad in a high-quality publication. Helps increase website traffic. When brides find you in the Wedding Guide, they are more likely to seek out your website for more information. Qualified leads means you always have a fresh source for developing more business. By utilizing our relationship with graphic designers and printers, we can provide you with high-quality, low-cost marketing pieces for whatever use you have. From business cards to post cards and sales sheets to booklets, we can handle it all for you at a price that will surprise you. When you become a Bridal Extravaganza sponsor, you set yourself apart from the competition and boost your brand with increased visibility and recognition by having your logo included on Bridal Extravaganza marketing materials. Leverage your advertising dollars with an efficient and effective marketing campaign. There are three sponsorship levels to fit every budget. Need a video to help promote your business? Ask us how we can make it happen for a fraction of the cost of most other companies.